Welcome to Kid Inventors Discussion Forums, the Forums specially for young and creative people! This forum is designated for the discussions of topics in new ideas, invention, innovation, creation, education, team-up, and entrepreneuring between KidInventor members. Login members can create, post and reply all topics for FREE. You need ask an adult, such as your parents, or teacher to file it for you. If you are under 18 years old, you need your parents or your school teachers to register or file any legal documents for your invention or publication. You may ask someone who has some experiences or knowledge about it. 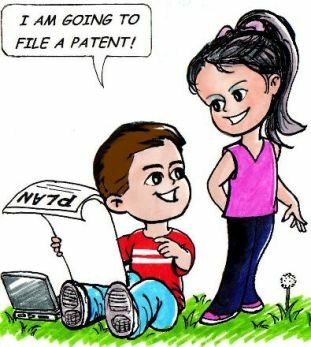 You may need file a patent or copyright with a legal consultant for intellectual property rights protection. Hopefully to see your invention soon! I have some Great ideas for a new product invention. Where should I start with? I’m 16 years old. Can I file a patent?